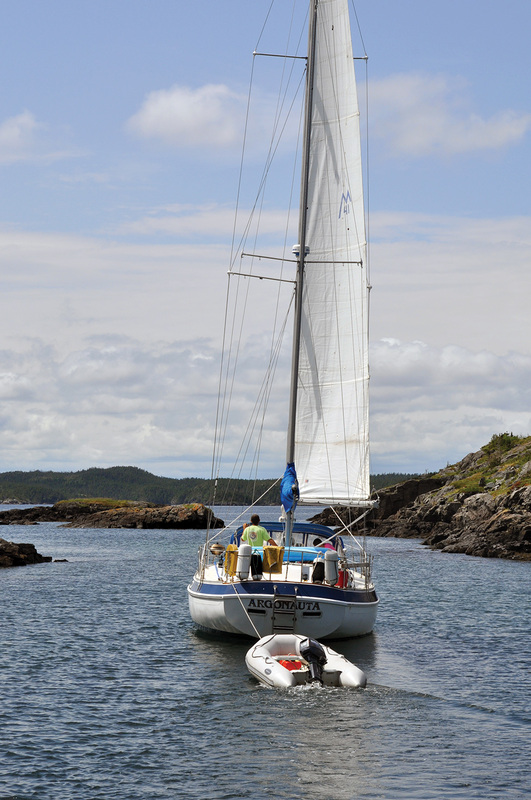 From the ever-growing number of youth getting involved in sailing, to catering to travelling yachts, to offering boating excursions and experiential tours and hosting world-class races and events, the recreational boating scene is a busy one in Atlantic Canada. Heading into July, Rankin said the Charlottetown Yacht Club had five vessels booked to make port so far this summer, all over 100 feet, with three over 150 feet. “Those are scheduled and then we usually have five or six more that just stop in. They may stay for a day or they may stay for a week,” he said. P.E.I. is an active sailing and motorboating community, said Rankin. “The sailing camps, they are full every year and growing. We have to add more boats and instructors every year to keep up with demand,” he said. Now in its 33rd year, Charlottetown Race Week, being held July 12 to 14, attracts boats from across the Maritimes, as well as Ontario and Quebec and possibly a few from the New England states each year and is growing, said Rankin, adding the Charlottetown Yacht Club works with other marinas on the island and along the Northumberland Straight in Nova Scotia and New Brunswick to promote and accommodate recreational boating. Half of the 100 marinas and yacht clubs in Atlantic Canada are located In Nova Scotia, where the numbers of travelling boaters seems to be on the rise. “What a lot of our clubs are doing is reacting because they do see an increase” in the number of boaters from the U.S. travelling the eastern Canadian coastline, said Frank Denis executive director of Sail Nova Scotia. Many clubs have been outfitted with sewage holding tanks, a gas dock, have a bar at the clubhouse, those types of things,” to cater to the travelling sailing and motorboat community, said Denis. “Yacht clubs in Shelburne, Lunenburg and Chester are seeing people drop in on their way to the Bra d’Or Lakes, Montreal, P.E.I. and so forth,” said Denis. Along with magazines such as Atlantic Boating, another marketing tool for recreational boating by industry in the region is the guide produced by the Atlantic Marine Trades Association (AMTA). The Boating Atlantic guide offers information on Atlantic Canada marinas, destinations, services and events, and is distributed at the Halifax International Boat Show, the Moncton Boat Show, the Toronto Boat Show, at marinas and yachts clubs around Atlantic Canada and by request. There are some tour operators who are doing well, such as Murphy’s on the Waterfront, said Denis. “They’re doing a good job with their sailing experiences.” For others wanting to get into the industry, insurance costs and safety requirements make it prohibitive. Nelder said she believes recreational boating opportunities are growing in Atlantic Canada. “Certainly, in the last 20 years we have seen the development of more marinas and we see larger boats owned locally. Outfitters and rental companies come and go, though I heard recently that there are over 72 boat rental companies in Atlantic Canada,” which can vary from kayak and canoe tour outfitters, to resort kayak rentals and jet skis, to houseboat rentals and freshwater fishing outfitters. 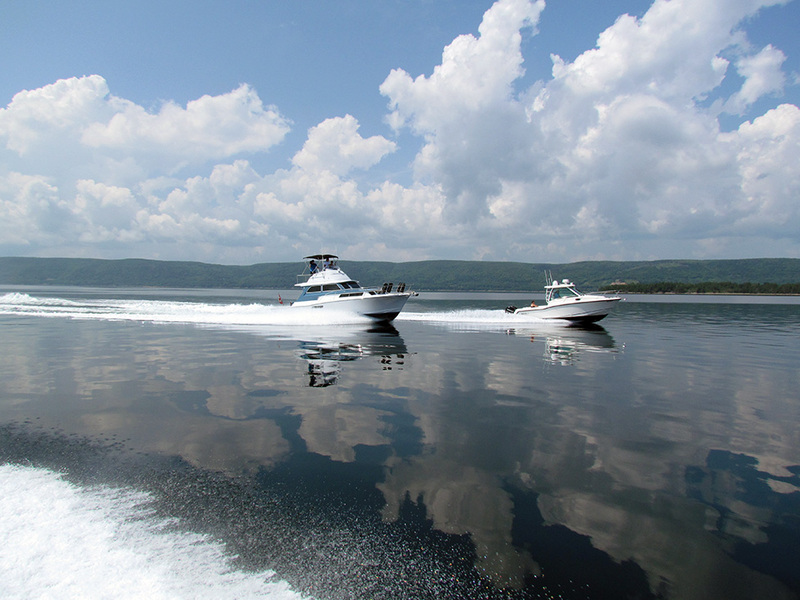 According to a study released last year by the National Marine Manufacturers Association (NMMA); the Economic Impact of Recreational Boating in Canada: 2016, spending by Canadians and foreign visitors while on trips that included boating in 2014 totalled $7.4 billion. Of that just over $6.6 million was spent in Atlantic Canada. Denis said there is potential for growth in the industry, particularly in rural areas, but outmigration of youth is affecting that, which is a common problem in Nova Scotia. No Replies to "Fair Winds for Recreational Boating in Atlantic Canada"